One of the most distinctive stars on television, radio, stage and now the big screen. 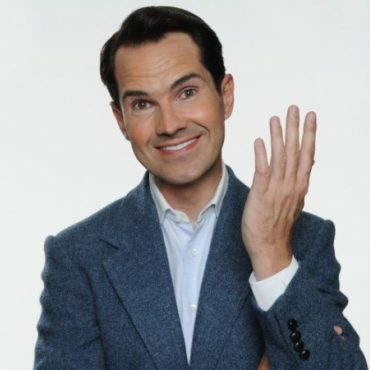 Jimmy Carr is a regular face on TV with shows past and present - The Friday Night Project, (C4 ) 8 out of 10 Cats (C4) and the Alternative Election Night. This year Jimmy has been on Tour with his new show The Best of, Ultimate, Gold, Greatest Hits Tour. Jimmy has appeared on countless other TV shows which include The Royal Variety Show & Have I got news for you .